We just received these amazing leather Jackets by Funktional. 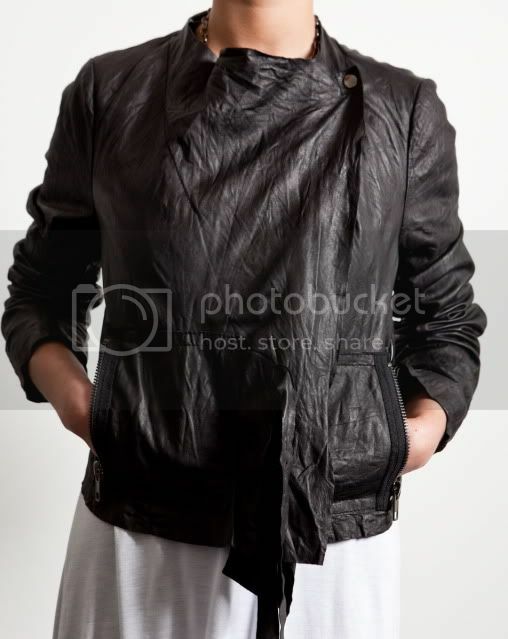 Supple, textured leather jackets available in gray or black. These jackets are all about details- from the asymmetric snap closure to the long leather side ties. It’s pretty incredible how many ways you can play with this jacket’s silhouette. Fully lined through the arms and partially lined through the body. Leather so thin, it’s like a second skin. This is the perfect spring jacket. At $400, you won’t break the bank. Available HERE.